Forever Still to play Muses Of Metal Festival! Danish alternative metal outfit Forever Still are set to play the very first edition of Muses Of Metal Festival. The group will join Draconian and Pythia in the line up. Having just released their debut album Tied Down, in January, Forever Still are set to take the stage by storm with their array of emotive, energetic and catchy songs. 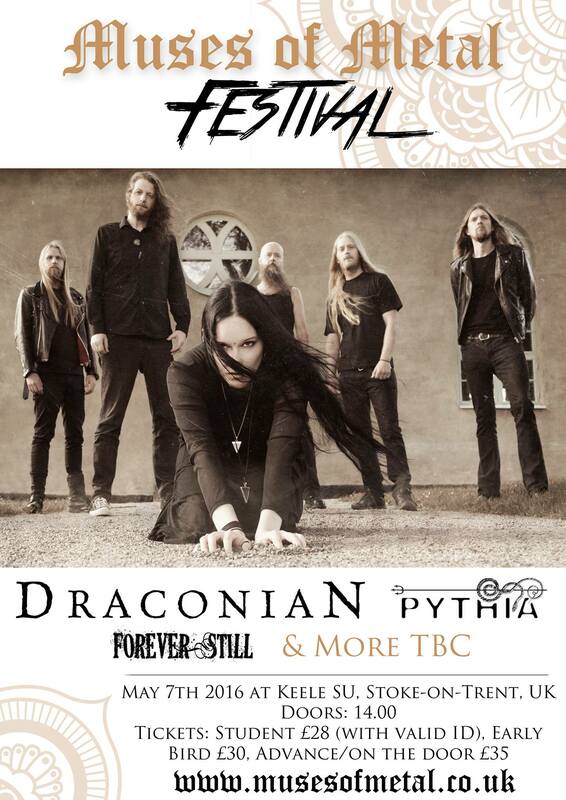 Amongst Draconian, Pythia and Forever Still the festival will host a line up including more international surprises as well as home 'grown' gems. A new act appearing at the festival will be continue to be announced every one to two weeks.